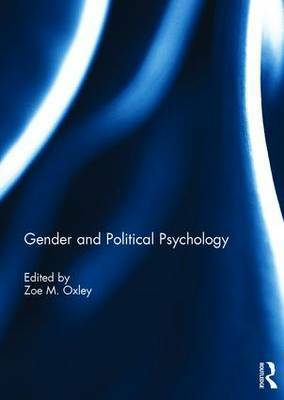 This book showcases new work done by gender politics scholars and political psychologists, covering a variety of political psychology topics. These include stereotyping and prejudice, intergroup conflict, social identity, attitude formation, group affinity, group decision-making, anxiety, contextual effects on individual behaviour, and the evolutionary roots of political behaviour. Political psychological insights are applied to address topics of longstanding concern within the field of gender and politics. Among the citizenry, gender differences in political ideology, responses to partisan conflict, Hispanic identity formation, and symbolic racism are explored. Other chapters pose the following questions relating to female candidates: What have been the effects of state parties' gender-inclusive policies? Who is most likely to gender stereotype candidates? Are general attitudes toward women in political office related to vote choice in specific contests? What are the implications of politicized motherhood? Finally, a set of essays engage a variety of themes related to gender, decision-making rules, and authority in small deliberative bodies. This book was originally published as a special issue of Politics, Groups, and Identities.